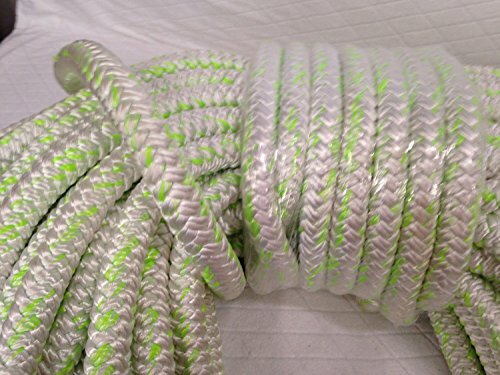 This is one brand new, never used 1" by 100 feet 12 carrier, 24-strand polyester arborist bull rope. About 36,000 pounds tensile strength. Good handling characteristics. This is a great rope for tree rigging and pulling. Made in the USA. Rocky Mountain Goods Drawstring Tarp - 9’ by 9’ - Extra strength yard tarp for clean ups - Forms into bag - Best Leaf tarp - Useful as covering tarp for bikes, furniture,etc. Vulcan PROSeries 2'' Lasso Style Auto Tie Down Kit with Universal O-Rings and Flat Hook Ratchets (96" - Pack of 4) Safe Work Load - 3300 lbs.